The trailer for the A Star Is Born remake is out and it features Bradley Cooper and Lady Gaga stepping into the gigantic shoes left by predecessors Barbra Streisand and Kris Kristofferson in the 1976 film. Bradley Cooper’s adaption will be the fourth time this story of successful musician in decline mentoring a young ingenue has hit the screen. The first time was the 1937 drama which was remade as a musical starring Judy Garland and James Mason in 1954. This is the first directorial effort from Cooper and the first major lead film role for Gaga, who is almost unrecognizable as a demure dishwater brunette. Cooper pulls double duty as Jackson Maine, a fading country star who meets unknown bar singer Ally (Gaga). Thus begins the romance that charts Ally’s rise and Maine’s fall. 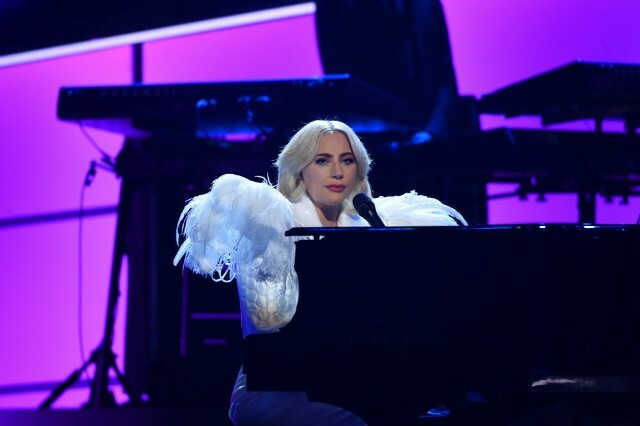 The trailer features musical performances from both Cooper and Gaga, with the latter singing “The Shallow” onstage. Dave Chappelle also appears in the trailer as a character named “Noodles,” and Sam Elliott shows up for about a nanosecond. Frankly, this trailer could have used some more Elliott. A Star Is Born hits theaters on October 5, but Gaga’s Oscar campaign kicked off the moment she went from platinum blonde to a mousy brown.